Mostly Positive (544) - 77% of the 544 user reviews in the last 30 days are positive. Very Positive (14,759) - 85% of the 14,759 user reviews for this game are positive. There is an automatic update to the launcher now live. This is a fix for the issue of only one mod being allowed at a time in the mod manager. This issue only affected WARHAMMER II. The Prophet & The Warlock is out now! The Prophet & The Warlock is out now for Total War: WARHAMMER II – bringing with it Warlock-Engineer Ikit Claw and his magnum opus, the Doomsphere, and the Skink Prophet Tehenhauin, commanding the Cult of Sotek and drenching the temple-city altars in Skaven blood. It’s time for the two to face off – which one will you choose? Please try restarting Steam if your game is not updating. 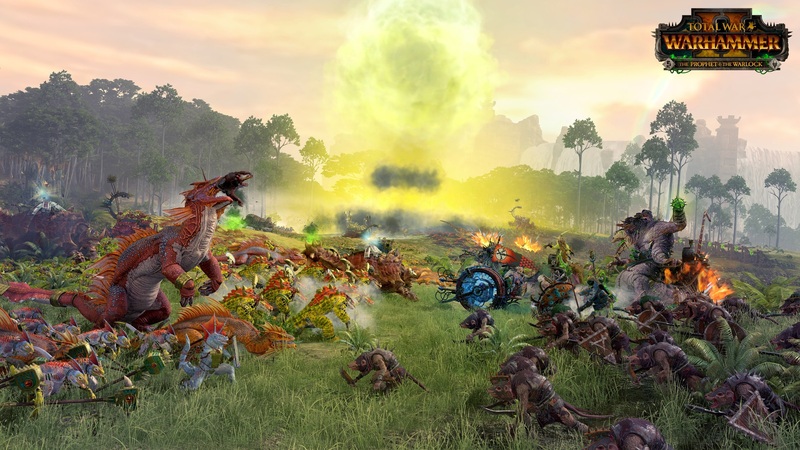 Total War: WARHAMMER II out now for mac OS and Linux. Learn how to play Total War: WARHAMMER II with Total War Academy videos and tips! * All 21.5" iMacs released since Late 2013 with a 2.7GHz processor or better. 212 Curators have reviewed this product. Click here to see them.